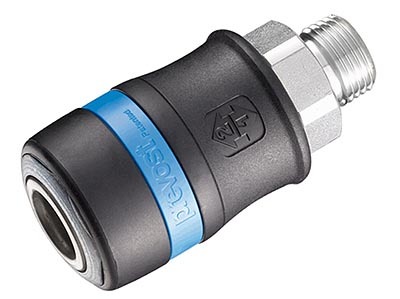 Prevost High Flow Safety Disconnect - great for use with larger air hoses (1/2" ID and above) - this 1/2" body size has a 1/2" male NPT thread to attach to compressors & wall drops. Flows an incredible 183 SCFM of air at 100psi. For use with 1/2" Industrial Interchange air plugs.